The Staniforth surname can be found in various countries around the world, and it should come as no shock to find that it exists in Ireland. I first discovered this family when looking at the 1901 and 1911 Irish Census records. I discovered that not only did the name have a presence on the island, but they were living in the Aran Islands off the west coast of the country. It took some time to uncover their story, but what I found was quite interesting. In a small cemetery in a townland in the west of County Clare named Cappa, there stands a gravestone for a coast guard, Henry Staniforth. 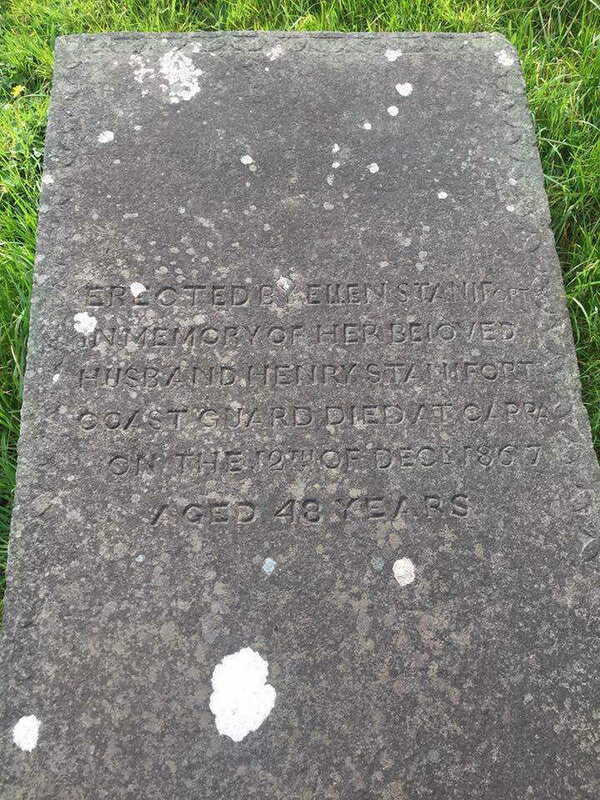 The gravestone reads that it was erected by his wife Ellen Staniforth and that he died at Cappa on the 12th of December 1867, aged 48 years. I soon discovered that his wife was Ellen Connell and the two married in Kilrush in 1851. I soon began reading of an event that took place during the Fenian Rising in the 1860s, although this event is not widely known, there are a few local publications on the uprising. To make a long story short, Henry Staniforth was stationed at a coast guard hut in nearby Kilbaha. Stationed with him was a Catholic man, John Wilmott and Owen Lloyd. The Fenian attackers knew Henry had married a local Catholic girl and presumed that he would offer little resistance if an ambush took place. John Willmott was at home with his wife when the Fenians knocked on the door, Willmott was suspicious and refused to shake their hand. They then demanded his arms in the name of the Irish Republic, he refused and ran to his bedroom where he kept a loaded pistol. He charged out of the door with his gun, calling for Henry and Owen to come to his assistance in the yard outside of the station. Willmott managed to arrest one of the men and it is said that Henry emerged with a drawn sword, but was blocked. 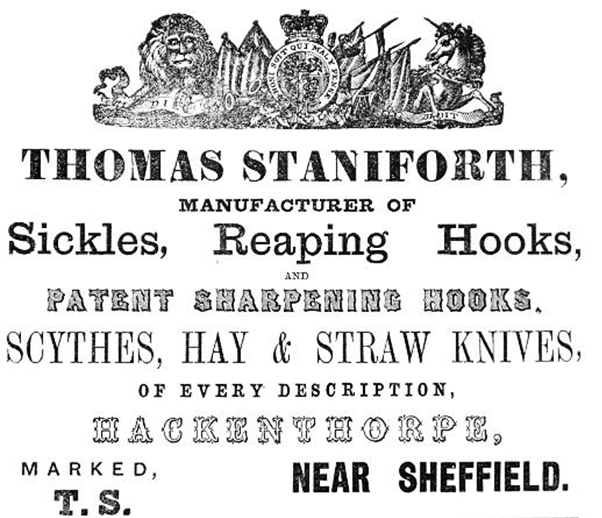 Both Lloyd and Staniforth were arrested and it is believed it was due to “timorousness”. It is not certain what Henry died of exactly, however his death was only a few months following the ambush, so it could have been due to injuries. His wife Ellen would go onto live until 1905, never remarrying before passing away in Kilrush, County Clare. Alice Staniforth, married Henry Kelly and had at least two children, Margaret & William both baptised 29 August 1902. Samuel Staniforth, born 1857 and married Theresa Mary Williams on the same day as his sister Alice, we will continue this line below. Henrietta Staniforth, born 1865, Ellis Island records show she passed through US Immigration twice, firstly in 1890, and secondly on June 25th 1905 as a Single woman, at this stage she was 35. Henrietta Staniforth also appears on the 1900 US Census, aged 29 with the birthplace Ireland, living as a Roomer in a household in Colorado. This Henrietta then marries a John Doherty at a Catholic Church in Denver, Colorado on February 9th, 1908. It is likely Henrietta returned to Ireland when her mother passed away in 1905, before returning to the United States. Samuel Staniforth and Theresa Mary Williams had a total of 12 children and as records show, they travelled Ireland due to being stationed at various Lighthouses around the country. 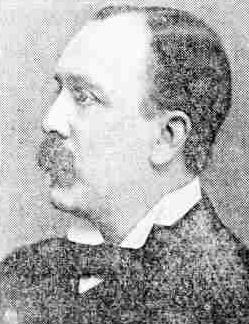 Irish Lights records show that Samuel entered service as Supernumerary Assistant Keeper on the 5th September 1879, was promoted to Assistant Keeper on 7th April 1880, promoted to Principal Keeper 1st January 1894 and Superannuated on the 29th October 1919, he died 14th March 1921. His wife Theresa passes away 25th April 1949 in Dublin. James Staniforth was born 1894 in County Cork, he accidentally drowned at Macoris, West Indies on March 25 1912. Patrick Joseph Staniforth was born on Inisheer, County Galway on 19th March 1902. Samuel Joseph Staniforth was born 21 September 1897 in Newtownards, he married a woman named Theresa who died 25 April 1949, Samuel died 4 December 1923 in Skerries, Dublin. Samuel entered service 25th November 1918, was appointed Supernumerary Assistant Keeper on 1st June 1919, was promoted to Assistant Keeper 1st September 1920, was made Invalid from service 30th November 1922 and then died the following year. The only station listed is Rathlin Island, 1 year 8 months. Patrick entered service 26th January 1925, was appointed as Supernumerary Assistant Keeper 1st September 1925, Promoted to Assistant Keeper 1st January 1926, Invalid from Service 1st April 1944 and died 7th September 1956. Henry Joseph Staniforth born 28 May 1888, he married Margaret Murphy (1903-3 Dec 1976) and had 3 daughters, Theresa Geraldine Anne (Goes by Gerlaldine), Margaret and Mary Theresa Staniforth who was born and died in 1935. Both Geraldine and Margaret provided information for this article. Henry entered into service 1st March 1915, was appointed as Supernumerary Assistant Keeper 1st October 1915, promoted to Assistant Keeper 1st March 1919, Promoted to Principal Keeper 1st January 1939, and Pensioned 1st June 1948 and died 13th October 1966. There is records of him being disciplined 3 times, once for being absent from his station at Loophead after lighting up time, once for being reprimanded and warned for irregularity in travelling account and once for failure to light up before sunset during poor visibility. 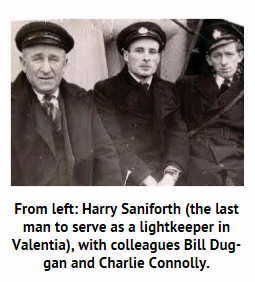 Based on accounts from Margaret, as well as records in Ireland, there are no more living males to carry on the Staniforth surname from this line, and so it seems this is the end of the story when it comes to the Lighthouse keepers of Ireland.